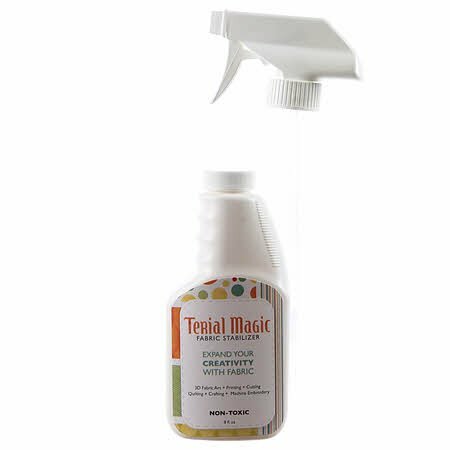 Terial Magic allows you to play with single-ply fabric in a whole new way. It replaces stabilizers and fusibles for quilters and embroiderers, keeps fraying in check for scrapbookers and crafters and gives the fabric a firmer hand for holding shapes and folds for all fabric projects. It is quickly becoming a household product suitable for any quilter, sewer, crafter, embroiderer or other DIYer's toolbox!